The Programme for Theology and Ministry focuses on the training of missional leaders to support faith communities in their ministries as well as to start new faith communities. Deaf Christian Ministry Africa is a specialized division of the Hugenote Kollege with a specific focus on the training and development of Deaf Ministry in South Africa and Africa. These courses provide an excellent opportunity for serious Bible readers to broaden their knowledge of the Bible and the church. Ethics from the perspective of God’s Kingdom – Christian values in challenging times! The Programme for Social Reformation focuses on the training of professionals within the social welfare sector, enabling them to guide individuals, groups and communities to understand their context and to engage individuals, groups and communities in finding relevant and appropriate solutions to specific problems. This initiative focusses on the development of intercultural skills for multicultural societies. The use of various art forms such as music, photography and drama are also explored. 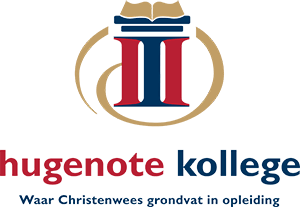 The Hugenote Kollege presents several short courses during the academic year. The short course schedule for 2019 will be available towards the end of the second semester.